The internet is ever growing and you and I are truly pebbles in a vast ocean of information. They say what you don’t know can’t hurt you. When it comes to the Internet believe quite the opposite. On the Internet there a millions and millions of computer users logging on and off on a daily basis. Information is transferred from one point to another in a heartbeat. Amongst those millions upon millions of users, there’s you. In this tutorial i am going to show you how to to access someone’s facebook, youtube, and many other accounts which is using the same WiFi as you. WinPcap – WinPcap is an open source library for packet capture and network analysis for the Win32 platforms. It includes a kernel-level packet filter, a low-level dynamic link library (packet.dll), and a high-level and system-independent library. Step 1: Install WinPcap then drag the Firesheep add-on, and put it on the Firefox icon. Firefox will open and will ask you to install the add on. Install it and restart Firefox. Step 2: Open the add-on (You can do it by clicking on View ->Sidebar -> Firesheep), then click on Start Capturing and it’ll start capturing, and as soon as somebody logs in any account it’ll show up the logs, and then you can access their account. 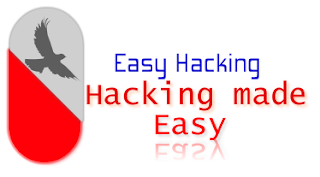 Simple, but functional and VERY effective method to hack someones facebook, youtube, myspace, etc. account through WiFi.